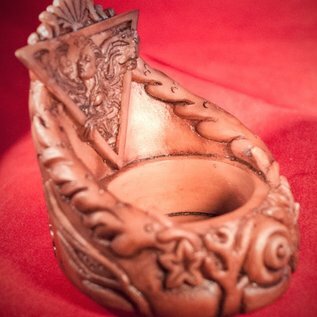 Light a candle in the west to welcome the spirit of water with this elemental altar piece. 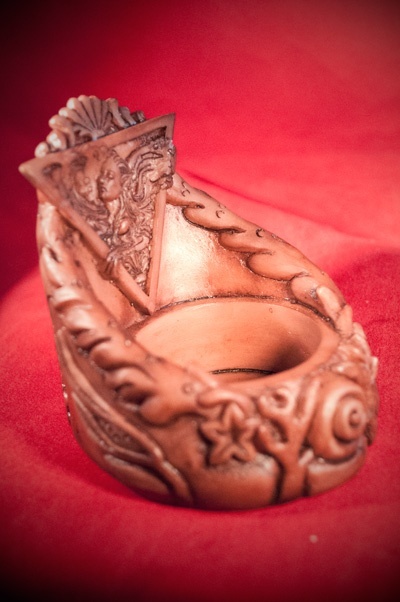 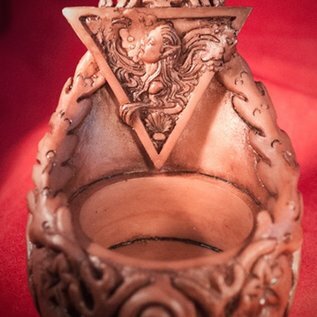 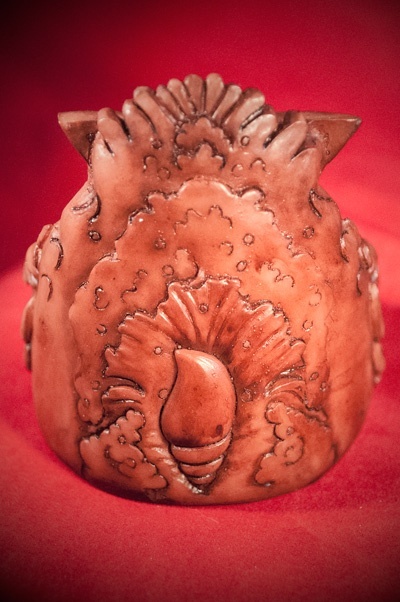 A water elemental spirit is surrounded by natural representations of the spirit of water in this unique candle holder. 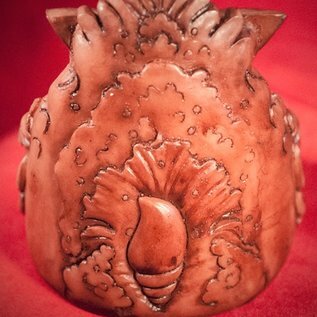 As you light a candle, may it send to you waters of healing, emotion and cleansing. 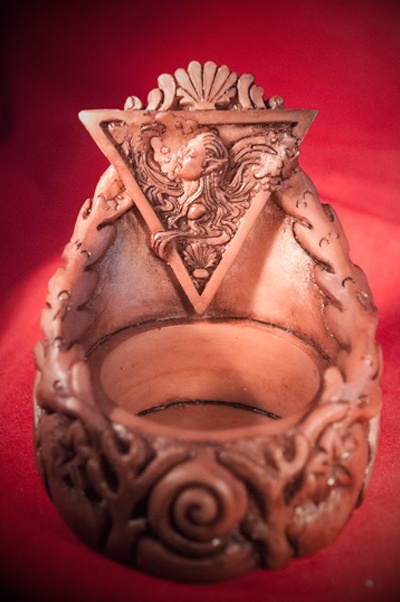 3"" resin altar piece, wood color finish.